Ride the highway out of Tokyo, join the ‘Seisho' coastal highway, and head to Atami – our lunch stop for today. After lunch, climb up into the hills to meet the famous Izu skyline. Enjoy the gentle twists and turns as we make our way south. Route 59 takes us through the heart of the Izu Peninsula. 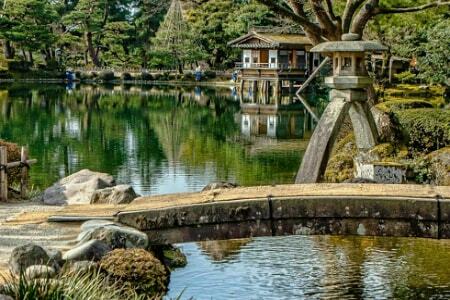 This is where you'll find the real Japan; scenic rice fields, little forgotten villages, wasabi plantations and bamboo forests. 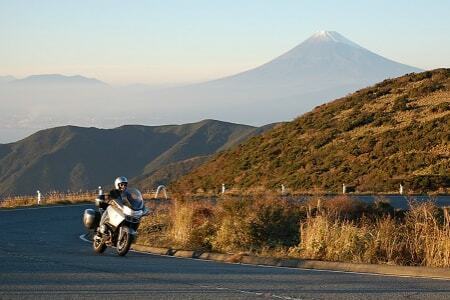 It’s then back up to the highlands to ride the West Izu Skyline (great Fuji views here on clear days). After a great day's ride, pull into Shuzenji Onsen. Relax in a traditional hot spring and enjoy your first Japanese dinner of the trip. This morning, ride the highway for an hour or so, before exiting at Lake Hamanako. Follow the shores of the lake, and then ride west through the narrowing Irago Peninsula. At the peninsula’s most westerly point, board the Isewan ferry, which will deliver us across to Toba on the Kii Peninsula. If time allows, stop in at the Mikimoto Pearl island, before continuing on to Ise town, where we will be spending the night. 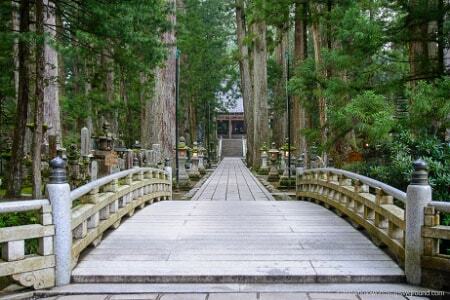 Ise-jingu is one of Japan’s most important shrines. There is also a bustling shopping street near the shrine; a great place to pick up some Japanese souvenirs. We'll eat dinner out tonight. After taking an optional early morning walk through Ise Jinju shrine, it's back on the bikes and southwest along the Miya River to the coast. Pass through a string of old fishing villages along the Kumano coast, and stop in at a restaurant around Atashika Bay to sample some of the local catch. After lunch, it’s on to our destination; Nachi. 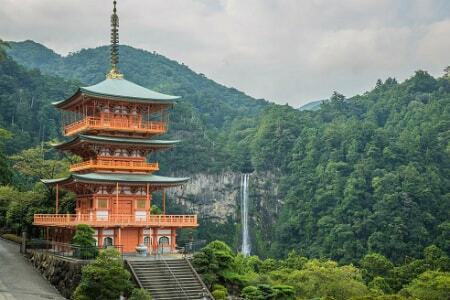 Before, arriving at the hotel, head up to one of Japan's most famous waterfalls, and the UNESCO-listed Seiganto-ji temple located next to the falls. Both are a must-see when traveling to Kii. This morning, follow the coast around the southern tip of the Kii Peninsula, and pull in to our lunch stop at Shirahama white sand beach. After lunch, head deep into the mountains of Kii. Route 29 will lead us to Kizetsu-Kyo Gorge, and then on to the Koya-Ryujin Skyline. This road offers some spectacular views as it twists and turns its way for miles through the hills all the way to our destination; the world-heritage listed Koyasan. 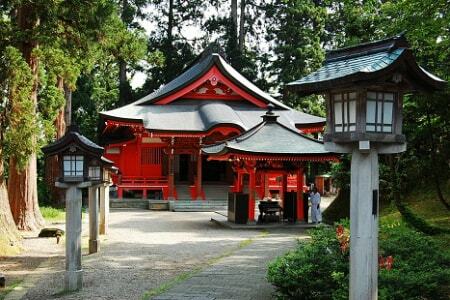 On the way into town, stop in at the famous Koya cemetery, which is nestled in an ancient forest. We will try to get to Koyasan early, as this really is quite a unique destination, and we will want as much time here as possible. Today is our final day. We'll make our way down from the hills of Koya to meet the Yoshino River. After following the river upstream for a while, veer north to a beautiful region called Inabuchi; famous for its terraced rice fields, as well as the old Ishibutai Tumulus. Next, continue on through the old historic district of Asuka (once the capital of Japan), and then to Nara for lunch. From here, its onto the highway and straight into Kyoto to drop-off the bikes. We hope you enjoyed the ride! Lake Biwa, Japan Sea coast, Tojimbo rocks, Kanazawa Kenrokuen Gardens and Castle, Nanto plain, Gokayama village UNESCO site, Shirakawago village UNESCO site, Hida-Furukawa, Hida-Takayama, Kiso Valley, Naraijuku village, Matsumoto Castle & town, Venus Line, Lake Shirakaba, Chino district, Mt. Yatsugadake, Mt. Fuji, Oshino Hakkai, Lake Yamanakako, Ashinoko/Hakone Skyline. 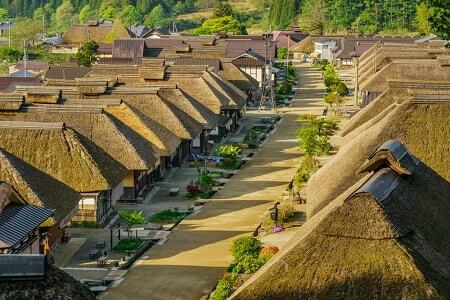 From Kanazawa, head across the Nanto plain, and up into the hills to explore the old mountain villages of Gokayama and Shirakawago. Both of these villages are UNESCO world heritage sites. Shirakawago will be our lunch stop today. 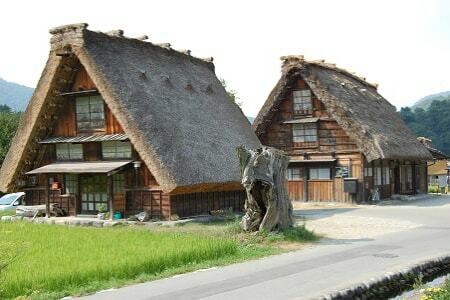 After lunch, ride east to the historic town of Hida-Furukawa. 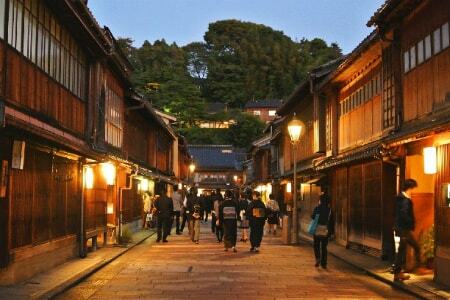 Take a stroll through the old streets here before continuing on to our overnight destination; Hida-Takayama. Takayama is the more famous of these two old towns, and it too has a very well-preserved old district well worth exploring. From Takayama, scenic route 361 will take us past Mt. Ontake (last erupted 2014) and through the Kiso Valley. 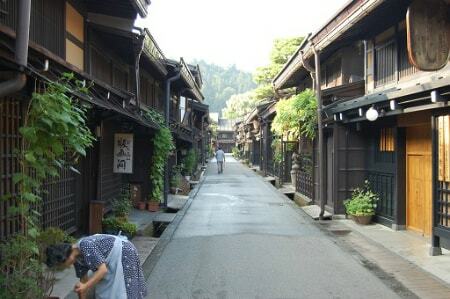 Our lunch stop today will be at the old Edo-era postal town of Naraijuku on the Nakasendo trail. After lunch, pass through the regions of Norikura and Kamikochi, and then on to our final stop for today; Matsumoto. We'll spend this evening and tomorrow morning exploring Matsumoto Castle, the riverside markets, and all the other historic sites this unique historic town has on offer. We'll be heading out on the town tonight. Head out of town, up towards the Utsukushigahara highlands. There should be some fantastic views from up here, weather permitting. 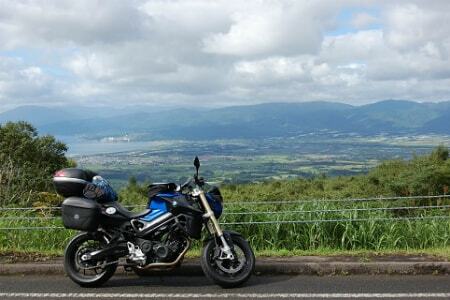 Next, ride the Venus Line twisties south to Lake Shirakaba; our lunch stop for today. 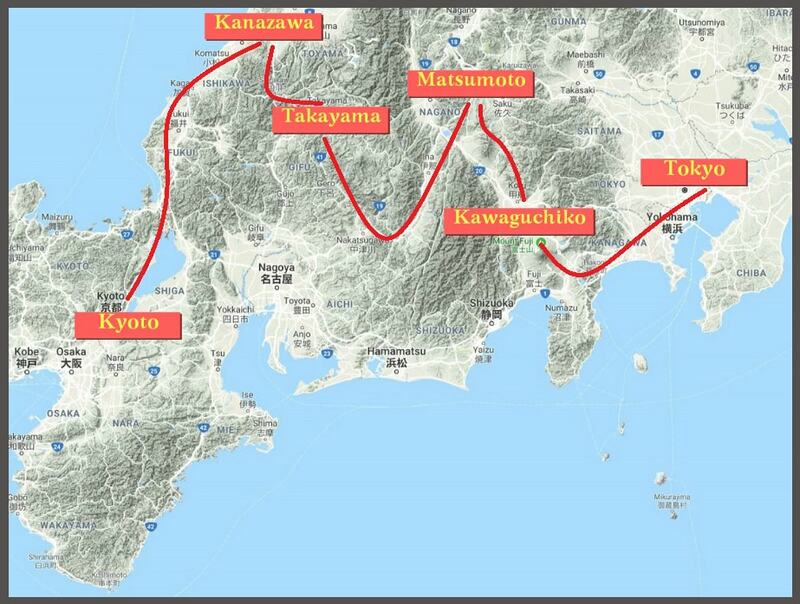 Then, it's on through the fertile districts of Chino, Kobuchizawa and Hokuto. After an hour or so of weaving through scenic rice fields and small farming villages, join the Chuo Expressway for a short highway leg. This will put us in the Fuji 5-lakes district. 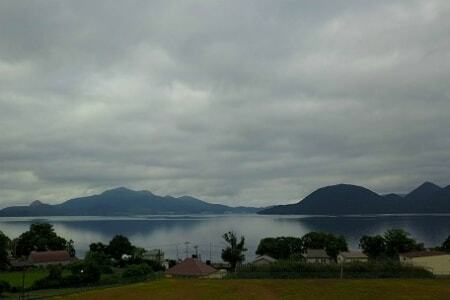 Pass by Lake Shojiko before stopping off at Nemba village and Lake Saiko (great Fuji views here). Then, it's on to our accommodation at Kawaguchiko. 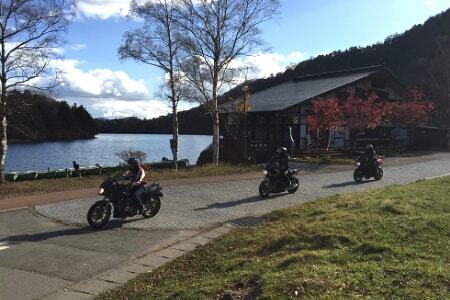 Ride south to Oshino Hakkai (8 spring-fed ponds located near Oshino Village), and continue on to Lake Yamanakako. After riding along the north shore of the lake, head up to the Hakone region. 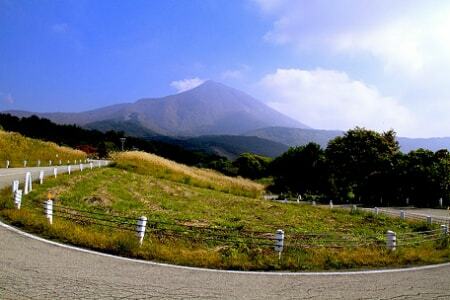 Here we'll be enjoying one of Japan's most famous roads; the Ashinoko/Hakone Skyline; great Fuji views here on clear days. 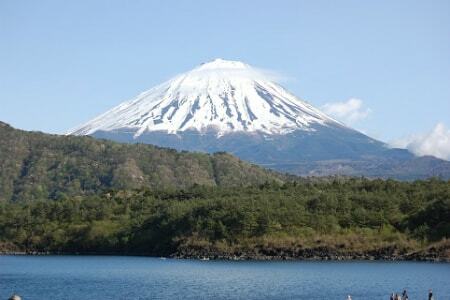 Say a final goodbye to Fuji, and then head down to the coast by way of the Hakone Turnpike. Join up with the Seisho Bypass and follow the coast, before heading inland for the final leg of today's ride back into central Tokyo. We hope you enjoyed the ride! 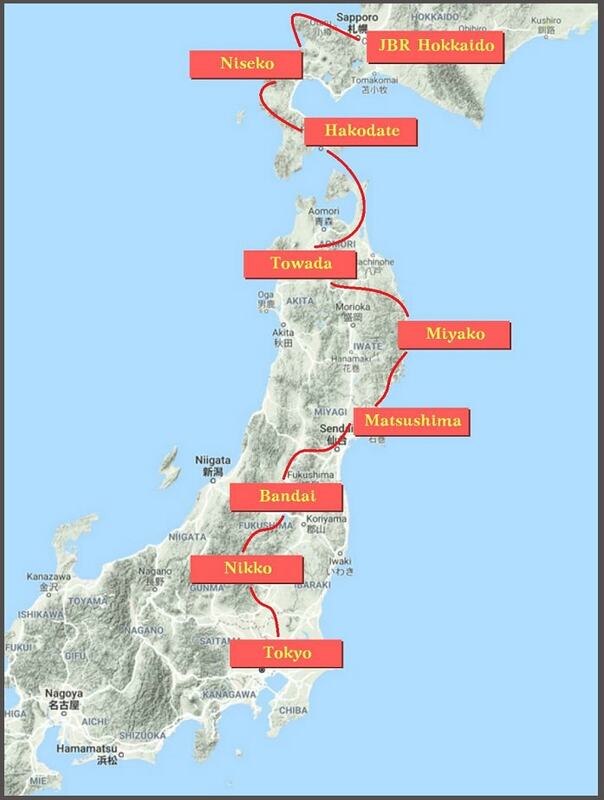 The Tohoku Expressway will take us north from Tokyo to Tochigi. From here, weave through the countryside until we reach our first overnight destination; Nikko. 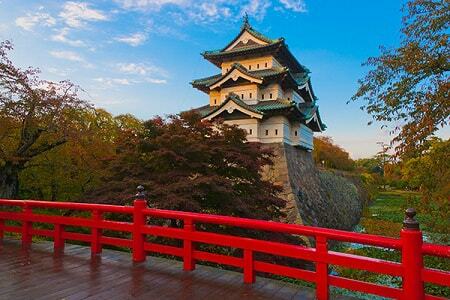 This is one of Japan’s most holy and historic centers and a UNESCO world heritage site. 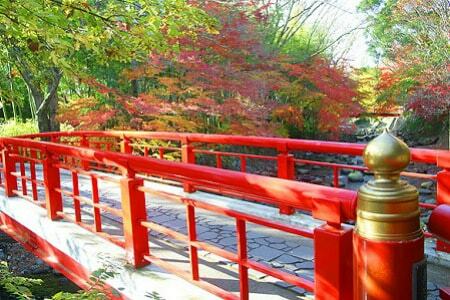 Spend the late afternoon and evening exploring some of the many ancient shrines and temples in the area. 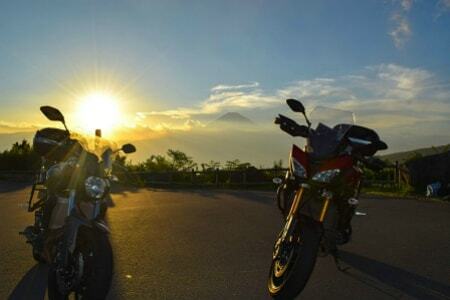 This morning, ride north up to the Kirifuri highlands; a great way to start the day. From here, it’s all mountains until we reach our first official stop-off point of the day, at Ouchi-juku – a quaint little traditional mountain village. After stretching our legs here for a while, continue further north to Wakamatsu city, where we may stop in at the castle if time allows. The final leg of today’s ride takes us up to Mt. Bandai and the Bandai lakes district, by way of the Bandai-san Gold Line. We’ll stop in at the Goshikinuma colored ponds, before pulling into our accommodation. Just to the east of Urabandai is the Bandai Azuma Volcanic National Park. If you’re feeling energetic, and time allows, hike up to see the crater at the top of Mt. Azuma. Then, continue on and up to Zao (a famous ski area in the winter). The road up and over Mt. Zao is a great ride. Stop in at Lake Okama at the top, before heading down to the coast. This coastal region was devastated by the 2011 tsunami, but is slowly getting back on its feet. 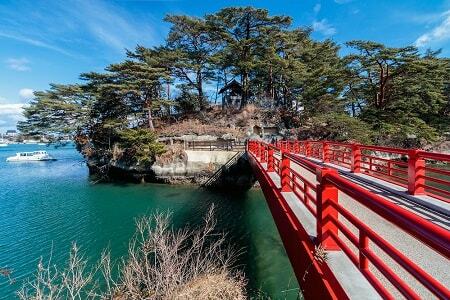 We will be staying the night at Matsushima; famous for its bay of picturesque islands, blanketed with black and red pine trees. 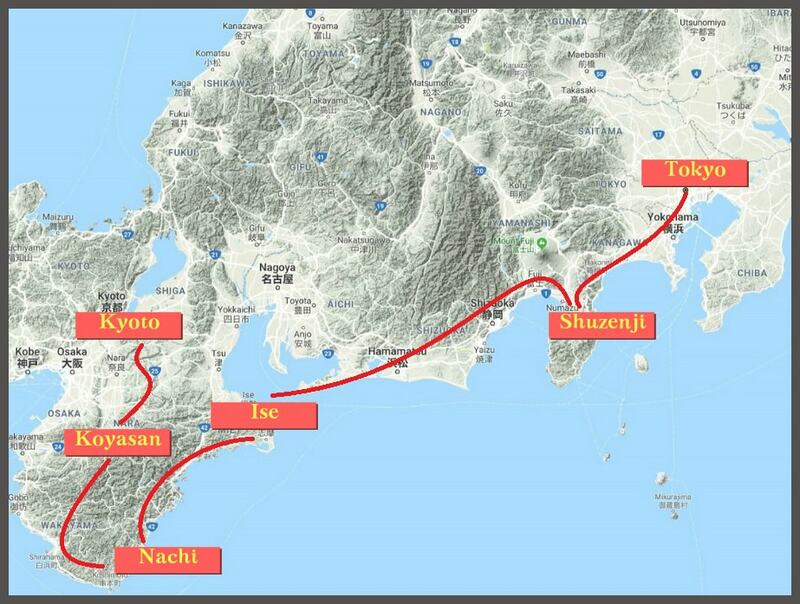 Today, follow the Tohoku coastline north all the way to Miyako. Although now renowned for being the region devastated by the 2011 tsunami, this rocky and rugged coastline is extremely beautiful and offers some fantastic twisty coastal riding. Our accommodation today is near Miyako town. 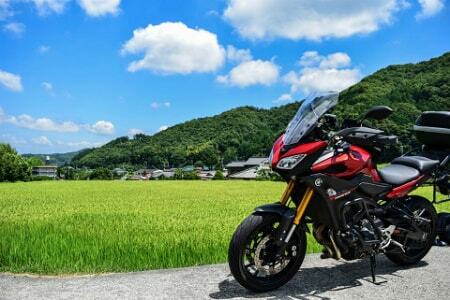 Today, continue the ride north along Japan’s rocky Tohoku (northeastern) coast. The Rikuchu coastline is extremely rugged and the scenery here is fantastic. After an hour or so, leave the coast and head inland. This region of central Iwate is certainly less-travelled, so we should have many roads to ourselves. Not long after crossing into Aomori Prefecture, we will come to our final stop for today; Lake Towada. 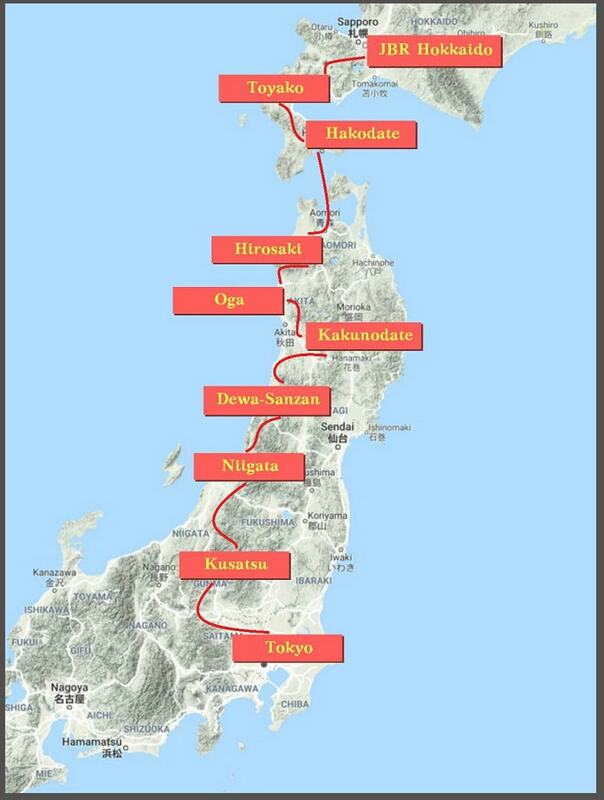 This morning’s ride will take us north through the Shimokita Peninsula; one of Japan's most remote regions. Our lunch stop will be at Mutsu, a forgotten little town in Japan's far north. 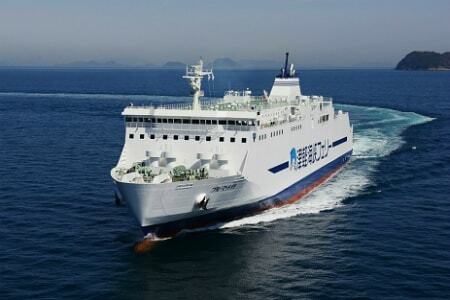 From here, there is only one reason to keep heading north, and that is to catch the ferry to Hokkaido from Oma town, which is what we will be doing. 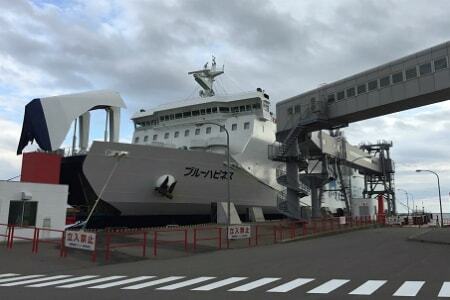 The ferry trip from Oma to Hokkaido takes just 90 minutes and the ferry will deliver us right to our overnight stop in the lovely northern city of Hakodate; interesting for its unique geography, rich history, and foreign influence. 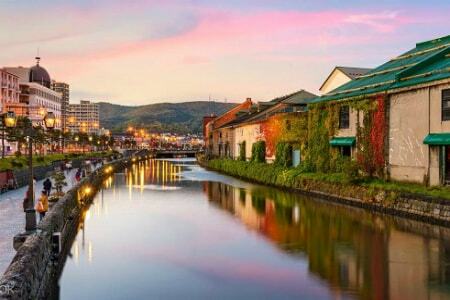 Hakodate was recently voted Japan’s most attractive city. The first stop-off point this morning will be at Lake Onuma, and the views on the way there should be magnificent, weather permitting. After the lake, cross to the west side of the peninsula and follow the coast north. It's almost all coastal riding today, as we follow the Reiden National Highway north. At Suttsu Bay, head inland and up to the world-famous ski resort town of Niseko. This has become a little slice of Australia in the middle of Japan. If you are craving bacon and eggs and a good coffee, this will be your chance to indulge. From Niseko, ride around the south side of Mt. Niseko, past Annupuri, and on up to the Niseko Panorama Line (route 66). This is a really fun road, and weather permitting there should be some fantastic views on the way down the north side. 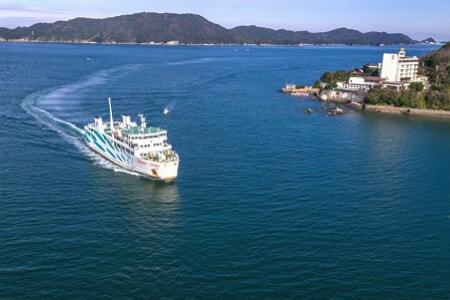 Next, head around the Shakotan Peninsula, stopping off at Cape Kamui to take in some views. Not far from here, is Otaru, our lunch stop for today. We will need some time here to explore the old part of town down by the canal. When ready, it’s back on the bikes for the final leg of the tour. It's not far from here to the JBR Hokkaido office, where we will be dropping off the bikes. We hope you enjoyed the ride! Lake Shikotsuko, Mt. Yotei, Lake Toyako, Mt. Usu & Noboribetsu (optional), Uchiura Bay, Lake Oonuma, Hakodate, Aomori, Hirosaki, Mt. Iwaki, the Shirakami mountains, Oga Peninsula, Hachirogata, Lake Tazawa, Kakunodate samurai street, Mt. Chokai, Dewa-Sanzan & Gojuto Pagoda, Niigata coastline, Sekikawa village, Minakami, Takuminosato, Kusatsu onsen, Onioshi highway, Mt. Asama, Karuizawa. This morning, head up to Lake Shikotsuko, and then on to Mt. Yotei (the Mt. Fuji of Hokkaido). From here, ride south to Rusutsu and then to our first overnight stop of the tour; Lake Toyako. 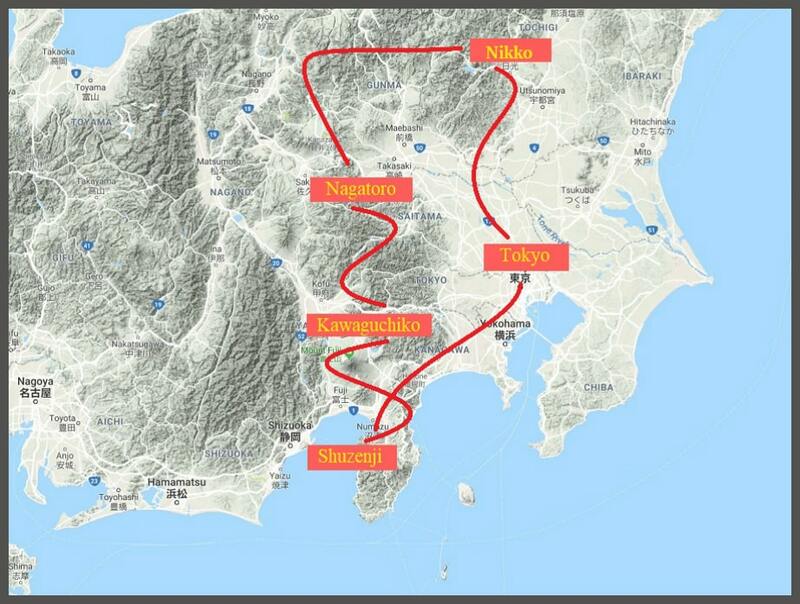 This afternoon, there will be optional visits to two places near Lake Toya; the volcanic region of Noboribetsu (about 90km round trip from Lake Toya), and Mt. Usu / Showa-Shinzan, which is located just a few kilometers from the lake. 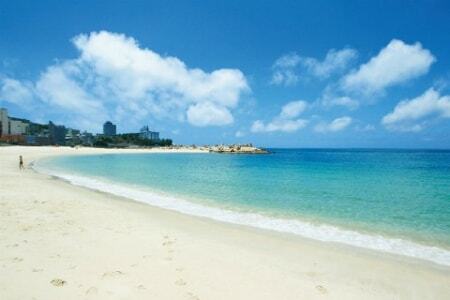 We’ll use the highway this morning to take us south along the shores of Uchiura Bay. About 20km north of Hakodate, detour off the main road to pass by Lake Oonuma, and on up to the skyline for some great Hakodate views. We’ll then continue on to our overnight destination; Hakodate. This is a lovely town, interesting for its unique geography, rich history, and foreign influence. It was even recently voted Japan's most attractive city. First thing today, ride to the ferry port and board the ferry across to Aomori. This a 3.5hr ferry crossing, so we’ll have lunch on the boat. 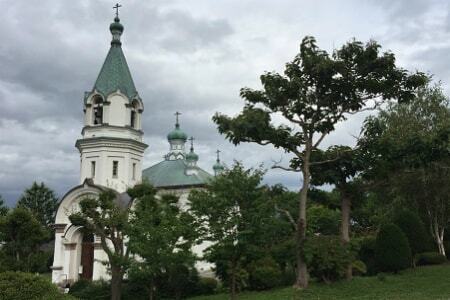 Once across the bay, enjoy an easy early afternoon ride to our destination for today; the old town of Hirosaki, famous for its castle, park (one of Japan’s most famous cherry blossom spots), the Tsugaru Neputa village, as well as a number of other historical points of interest. The Ajigasawa highway will lead us around the south side of Mt. Iwaki, and on to the coast at Ajigasawa. Now you are really in a corner of Japan rarely visited. Follow the coast all the way around the west side of the Shirakami mountains (a UNESCO world heritage site, and only one of three natural UNESCO sites in Japan). After reaching Noshiro, the landscape will begin to open up, as we come into one of Japan’s most fertile rice-growing regions. Towards the end of today's ride, pass by 'Hachirogata'; Japan's largest land reclamation project. This area used to be a lake, but is now 50 square kilometers of fertile farmland. Tonight we will be staying on the Oga Peninsula. Head up to Mt. Kanpu on the way there. Great views from up here on clear days. This morning, head east to cross over 'Hachirogata' (actually 4 meters below sea level, and the lowest point in Japan. ), and on to the scenic Gojome Highway. There should be lots of great riding today with very little traffic. Head deep into the mountains of Akita prefecture, and towards the end of today's ride, detour east to circle Lake Tazawa. 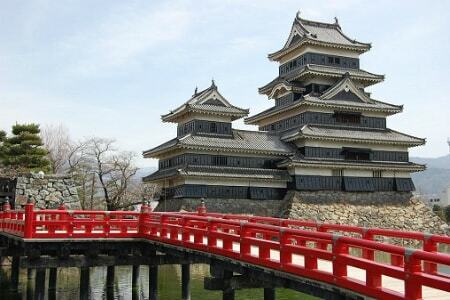 After looping the lake, we’ll head to our destination for today; the old samurai town of Kakunodate. On the way into Kakunodate, ride slowly through the old district and imagine what life used to be like. Take an evening stroll here, or early tomorrow morning perhaps. Today is a big riding day. First, head south on the Mizuhonosato road, a lovely scenic route that showcases the best of rural Akita. At Yokote town, head west toward the Japan Sea coast. As we near the coast, Mt. Chokai will come into view. Ride around the mountain and down to the coast. Bypass Sakata city, and follow the Mogami River to route 45, and on to Dewa Sanzan; a sacred Shinto pilgrimage site, and our overnight stop today. 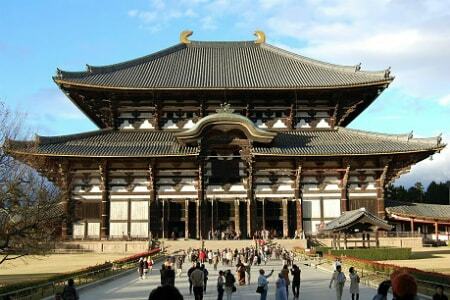 Wander around the temple complex and visit the 5-story Gojuto pagoda. This morning, head from Dewa Sanzan, through the mountains and down to the Japan Sea coast. Follow the coast south. This rugged northern Niigata coastline is ideal for riding; rugged cliffs, white sand beaches, small fishing communities, and ocean views. 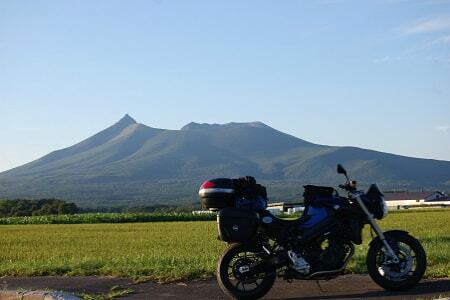 Head inland on route 290 for some nice scenic riding through the Niigata countryside. Stop off at Sekikawa village, before arriving at our overnight stop. Ride the local roads until we reach our expressway entry point. The highway will take us through (under) the mountains that separate Niigata and Gunma. Exit at Minakami and weave through the hills until we arrive at Takuminosato for lunch. There are a couple of small shops, cafes, and soba restaurants here (see soba being made here). After lunch, continue on to the famous old onsen town of Kusatsu. Japan has more hot springs than any other country and Kusatsu is one of the most popular among local Japanese. 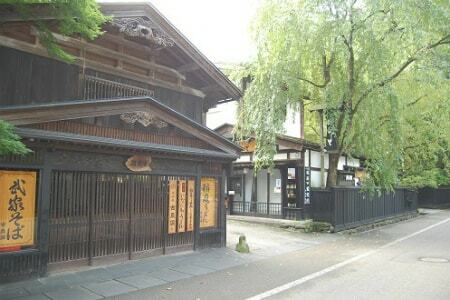 The centerpiece of town is the steaming hot water source, called 'Yubatake'. Wander into town and soak up the atmosphere with the locals. Our ride this morning will take us south along the Onioshi highway to the Mt. Asama lookout point (great views of the smoldering volcano from here on clear days). After a brief stop, it’s on to the famous Shiraito Falls; another good chance to stretch our legs. Our lunch stop today is not far from here at Karuizawa (one of the Japanese Emperor's favorite summer vacation spots). After lunch, it’s onto the highway for the final highway leg into central Tokyo. We hope you enjoyed the ride! Today is a big riding day, so we’ll get an early start. Head west up to Lake Chuzenji along route 120 (keep an eye out for snow monkeys here). 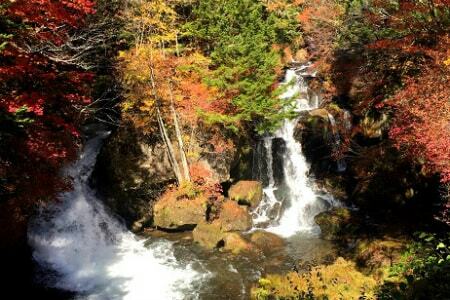 Just after the lake, there are two famous waterfalls best seen in the fall; Ryuzu Falls and Yudaki Falls. Stop off here for a while, and then continue on to our Takuminosato village lunch stop. After lunch, head south to Lake Haruna. After stretching our legs here, it’s on toward our overnight stop at Nagatoro. 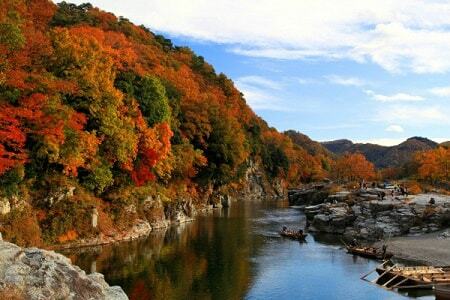 Nagatoro is located on the upper reaches of the Arakawa river; a very peaceful spot to spend the night. Today, head out south from Nagatoro, through the mountains to the Chichibu region. 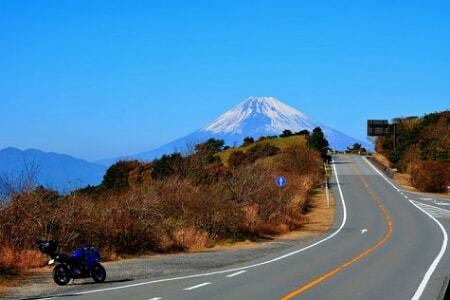 Ride the Chichibu loop, and through the Karisaka tunnel from Saitama into Yamanashi. 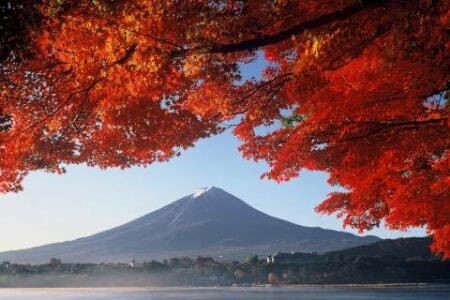 Weave your way down from the highlands toward the Fuji 5-lakes region. Stop off at Nemba village, near Lake Saiko (nice Fuji views from here), and then continue along the north shore of the lakes to Kawaguchiko, where we will be staying the night. Today, we will be looping Mt Fuji in a counter-clockwise direction. Stop in at Shiraito Falls, and then continue on to the Hakone region. 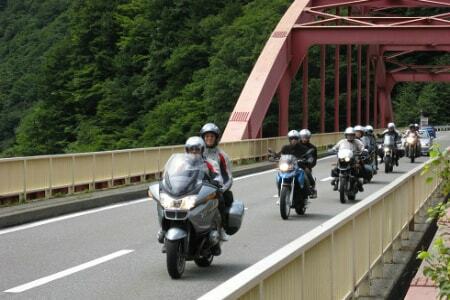 Here, we will ride one of Japan's most famous roads; the Ashinoko/Hakone skyline, and then link up with the Izu skyline. Enjoy the gentle twists and turns as we make our way south. Route 59 takes us through the heart of the Izu Peninsula, where we’ll find the real Japan; scenic rice fields, little forgotten villages, wasabi plantations and bamboo forests. Enjoy the 720 degree loop bridge on route 414, before heading back to the coast, past Shirahama beach and on to Shimoda. Stop off at some of the nice white sandy beaches south of Shimoda, before heading to Irozaki Cape at the southern tip of the peninsula. 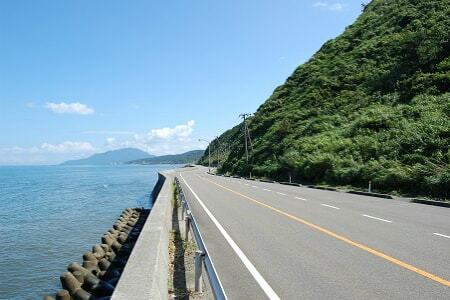 Then follow the scenic roads that twist and turn their way up the Izu west coast. Matsuzaki will be our lunch stop today. After lunch, continue the ride north, keeping an eye out for Mt. Fuji across Suruga Bay. The final leg of today's ride will take us up to Shuzenji, where we’ll stay the night and relax in a traditional Japanese onsen. Head east into the hills up to the Izu Skyline and on to the famous Ashinoko/Hakone Skyline (fantastic Fuji views here on clear days). After spending some time here in Hakone, ride down to Gotemba, where we will join the expressway for the final 100km into central Tokyo. We hope you enjoyed the ride!